Biological agents that target inflammation-generating immune cells and signaling molecules could be used to treat myasthenia gravis, French researchers report. Biologics have helped people with other autoimmune diseases, so they might be able to restore balance to MG patients’ immune system, the team said. MG stems from an imbalance between two components of the immune system’s response to threats. The system’s inflammation-generating mechanisms are revved up, while its inflammation-dampening mechanisms are idling. 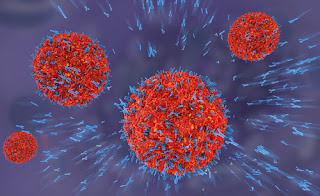 Immune Th17 cells generate inflammation to protect the body. But the body also has anti-inflammatory regulatory cells, called Tregs, to keep Th17 cells — and thus inflammation — from spinning out of control. A tight balance between the two types of cells insures that the immune system protects against invaders but does not attack the body’s own tissue. About 85 percent of MG patients have high levels of antibodies targeting the acetylcholine receptor —over-production that can trigger inflammatory responses. Meanwhile, MG patients’ thymus gland, whose job is to produce immune cells, generates fewer than it should. Together, these events create an environment that disrupts the equilibrium between Treg and Th17 cells. 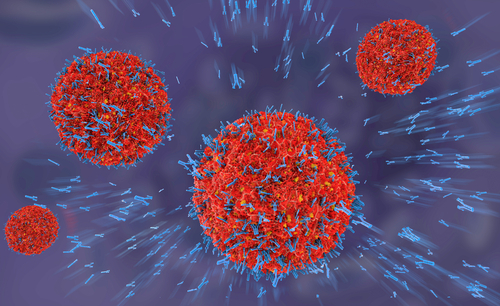 A number of studies have shown that MG patients with higher levels of antibodies targeting the acetylcholine receptor have normal levels of Treg cells, but lack a subset of Tregs that can suppress immune responses. “Although there is no consensus on there being a decreased percentage of Treg cells in MG patients, most studies report that these cells have reduced suppressive activity,” the researchers wrote. Other studies have reported that another subset of Tregs, T follicular regulatory cells, may also play a role in the development and progression of MG. In addition, research has shown that in MG patients with higher levels of antibodies targeting the acetylcholine receptor, Tregs can acquire features of Th17 cells when in a pro-inflammatory environment. This may worsen the imbalance between the two. Th17 cells produce several signaling molecules that can trigger inflammation, including interleukin-17, IL-6, and TNF-alpha. Although scientists have yet to understand what causes Th17 cells to rev up in MG, it is clear they contribute to the disease’s progression. MG patients with antibodies targeting the acetylcholine receptor share several inflammation-related features with those who have other autoimmune disorders, the researchers said. This underscores “the importance of understanding the involvement of the imbalance between Treg cells and Th17 cells” in MG, they wrote. Due to their key role in MG, both Treg and Th17 cells have become attractive targets for therapies. In one study, scientists increased the number of Tregs in animal models of MG to try to rein in Th17-generated inflammation. The approach failed to reduce their MG, however. Regulators have approved biological agents that target Th17-generated signaling molecules as treatments for such autoimmune diseases as psoriasis, rheumatoid arthritis, multiple sclerosis, and Crohn’s. Clinical trials have shown that antibodies such as Cosentyx (secukinumab), Taltz (ixekinumab), Siliq (brodalumab), and Stelara (ustekinumab) prevented Th17 from generating the signaling involved in autoimmune diseases. But scientists have yet to test them in MG.
“At present, there are numerous listed clinical trials related to MG, but none aim to test monoclonal antibodies that target the Th17 pathway,” the researchers wrote. There is considerable evidence that biological agents could be a way to treat MG, however, they wrote. The implication was that they need to be tested in trials of MG as well.